Body-positive photographer Lindley Ashline joins to talk about the power of representation, the process of breaking fashion rules for people in larger bodies, how the diet industry uses aspirational marketing to lure us in and keep us hooked, Lindley’s journey to her career in photography for diverse bodies, and so much more! Plus, Christy answers a listener question about whether it’s appropriate to talk to diet-recovery clients about choosing “whole” foods. Lindley Ashline is a professional photographer in Seattle, WA, who specializes in body positive portraits of people of all sizes, genders, orientations, ability levels, and ethnicities, not just the ones whose bodies are likely to be seen in magazines and advertisements. Lindley takes a judgment-free approach to her photographic subjects, with little to no retouching. She created RepresentationMatters.me in 2016 as a response to (and rejection of) the airbrushed, normative, too-perfect stock photography available on the big mainstream stock sites. The images available on the site focus on representing people who are fat, of color, and/or part of the LGBTQIAP+ community. Representation Matters gives small business owners a way to represent the real bodies and lives of their customers in their marketing and on websites and social media. 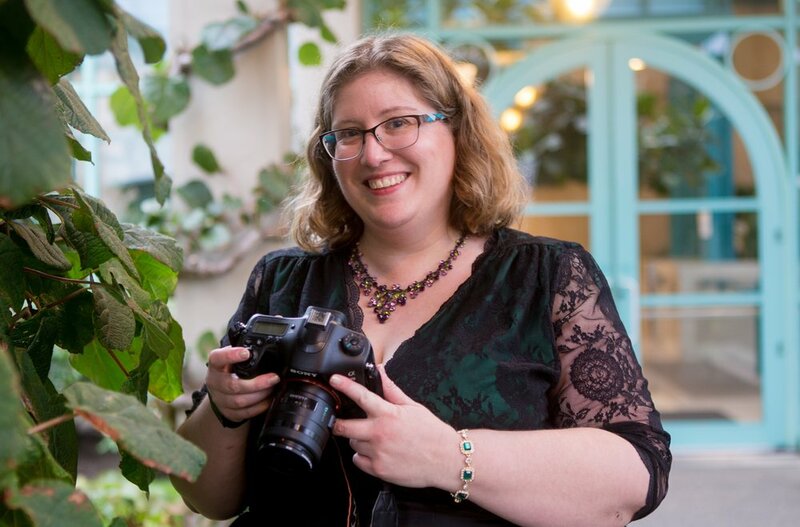 It contains Lindley's own photography as well as photos and illustrations from a growing number of contributors, making diverse and body positive artwork accessible and affordable while paying contributors a living wage. Find thousands of high-quality diverse stock images and free monthly photos over at Lindley's site, RepresentationMatters.me. How is “The Wellness Diet” a new form of diet culture? What’s the deal with “whole foods?” What are the issues with the current food industry? Are there class implications for demonizing “processed foods?” Why is gentle nutrition at the very end of the intuitive eating process? Fellow entrepreneur and anti-diet dietitian Haley Goodrich joins us this week to discuss her path from disordered eating to intuitive eating, how she opened her own Health at Every Size dietetics practice, the challenges of transitioning to a completely weight-neutral paradigm and the value of mentorship in this process, overcoming her anxiety and the role that anxiety played in her eating behaviors, how to practice as a recovered clinician, getting comfortable setting boundaries, and much more! PLUS, Christy answers a listener question about bingeing in recovery from restrictive eating. Haley is the founder and CEO of INSPIRD Nutrition, where she specializes in intuitive eating, disordered eating, and eating disorder recovery from a Health At Every Size perspective. She is currently pursuing her Certified Eating Disorder Registered Dietitian (CEDRD) Certification. In addition to her full-time private practice she is also the co-founder of INSPIRD to SEEK, a community-based learning experience designed to mentor and guide nutrition entrepreneurs to build amazing businesses. Find her online at inspirdnutrition.com. My brand new online mini course, Master Your Anti-Diet Message! Diet culture has controlled the conversation about health and wellness for way too long, and it’s time for a change. As health and wellness professionals, that change starts with us. What do we do if meal plans make us feel restricted? Are there other ways to make sure we’re eating enough throughout the day? How do we handle overeating or bingeing in recovery from a restrictive eating disorder? Is there a way to reconnect to our body trust, and to get back in touch with our hunger and fullness signals? Can mild restriction still lead to feelings of deprivation and, ultimately, binge eating? What are the prolonged consequences of restriction?